Lone Sailor Statue Stands Watch In Guam - USA Patriotism! 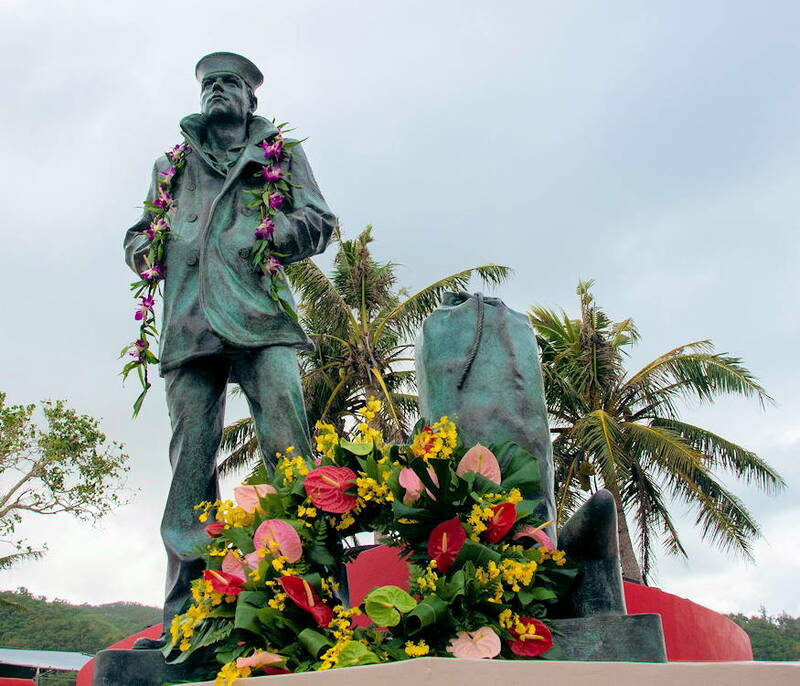 Standing at 7 ft. tall and gazing toward the Pacific Ocean, the Lone Sailor statue was unveiled during a ceremony at the Ricardo J. Bordallo Governor's Complex in Hagatna, Guam on December 15, 2018. The effort to place a statue on island was an initiative of the Vietnamese-American community and the U.S. Navy Memorial to demonstrate the special relationship between the Navy, the sea services, Guam and thousands of Vietnamese citizens who found refuge in Guam in the closing days of the Vietnam War during Operation New Life. Guam's Lone Sailor is the western-most in the nation and is the 16th installed by the organization. As one of many memorials at the governor's complex, the Lone Sailor stands alongside the Guam Seal and is surrounded by 19 benches that represent each village in Guam. Guam Lt. Gov. Ray Tenorio expressed his appreciation to the Navy Memorial and the Navy for their partnership and touched upon the military's important relationship to the people of Guam. Joint Region Marianas is a joint United States military command located on Guam. It is the installation management authority for both Andersen Air Force Base and Naval Base Guam. Its headquarters is located halfway between the two installations on Nimitz Hill.